The media group first went to ALMA Observatory on the 17th, where they visited the telescope control room, laboratory, working and living areas, and interviewed the person in charge of the station as well as front-line staff, who demonstrated the huge truck made specifically for transporting the antennas. Then they arrived at the antenna array on the 5000-meter-high plateau, equipped with supplies of oxygen, after given a medical check-up in accordance with the provisions for high-altitude environment. The large-scale modern scientific facilities, along with the magnificent natural scenery, highlight the importance of astronomical research, and illustrate the great contributions of scientists and other staff. On 18th July, at 2600m-high Paranal Observatory, the media visited the giant optical and infrared VLT 8-meter telescopes. The journalists learned about the parameters of telescopes and instruments, and the ongoing research programs carried out by the observers. They also had the opportunity to watch the entire procedure of telescope dome opening, instrument testing and preparing for observations. The dedication and professionalism of the staff, along with the advanced site management and operations, impressed them, just like the excellent sky conditions at the observatory. 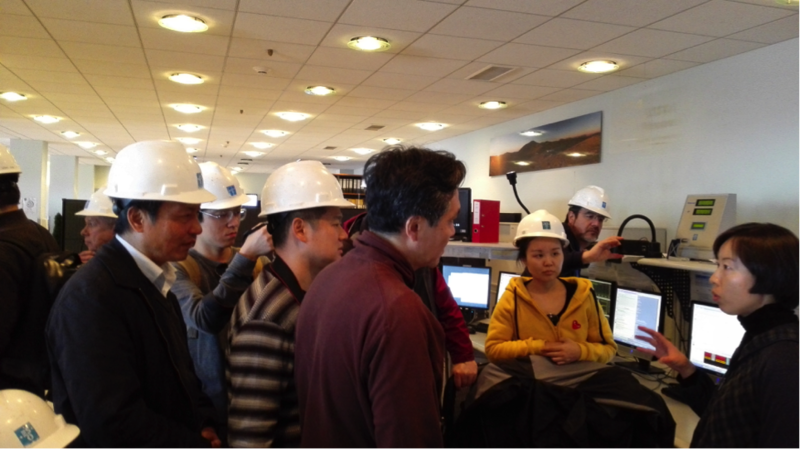 In the telescope control room, reporters had a light-hearted interview with Dr. Yang Bin, formerly of the National Astronomical Observatory, Chinese Academy of Sciences, who was on-duty as a night astronomer working for ESO. The professionalism, passion for astronomical observations, perseverance and dedication of this young female astronomer won their admiration. ALMA is an array of radio telescopes built by several institutions of Europe, the United States and East Asia. It consists of 66 12-meter, and 7-meter diameter radio antennas working at millimeter (mm) and sub-millimeter wavelengths, with a resolution of 0.01 arcsec. ALMA is expected to be able to provide insight into star birth during the early universe and detailed images of local star and planet formation. ALMA is located in the Atacama Desert of northern Chile, on the Chajnantor plateau with an altitude of 5,060 meters, which is one of the driest sites on earth, and as such is very suitable for mm and submm observations. After about 15 years of construction and at a cost of US$1.4 billion, ALMA has been fully operational since March 2013, and has attracted close attention of astronomers all over the world. Its work has already led to many new scientific discoveries. Paranal is an astronomical observatory located about 120 km south of the city of Antofagasta, Chile, and is operated by ESO. The main facilities include four 8.2m telescopes with several auxiliaries (which can be used individually or combined as an interferometer), a 4m visible and infrared survey telescope (VISTA), and a 2.6-m VLT survey telescope (VST). About 2630m above sea level and 12 km away from the coast, its stable and dry climate with very transparent nights without city light pollution, plus more than 340 clear nights each year — all make the site one of the best for astronomical observations (Figures 1 & 2). Towards the east from Paranal, the construction sites of the 39-m telescope E-ELT, the world’s largest optical telescope to be built, and the Gama-ray Cherenkov Telescope Array (CTA), can be clearly spotted. Despite the varying degrees of fiscal austerity and economic problems in Europe, the United States and other countries, efforts on exploring the mysteries of the universe are nevertheless forging ahead steadily. Its special geographical location, long-term stable support from the government, and open polices make Chile the ideal place to build large-scale ground-based astronomical facilities by countries all over the world. 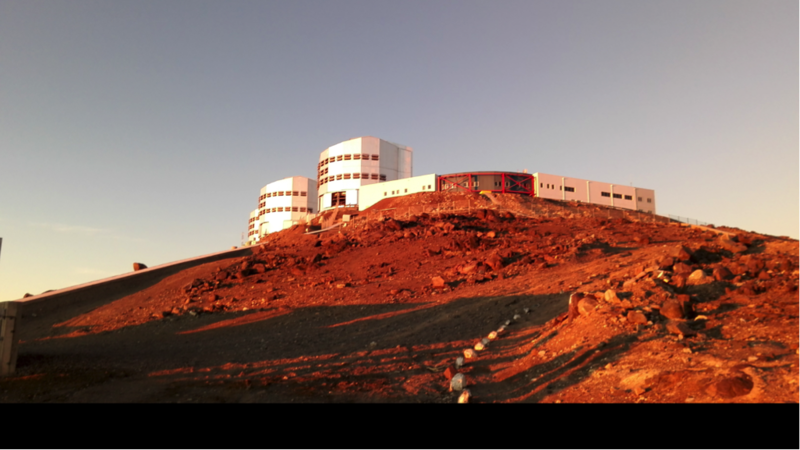 According to incomplete statistics, in the coming decade, more than half of the new large-scale international astronomy facilities will be built in Chile. Europe and the United States have already run their observatories in Chile for more than 50 years. Their facilities represent the most advanced levels of observational research, not only because of the huge capital investments, but also their leading hardware, software, and valuable experience in maintenance and management of observatories. Since the start of its operations in 2013, CASSACA has marked a solid first step in advancing astronomical research through international cooperation between China and South America. Visits and interviews by the Chinese media will help to publicize the progress in the field of observational astronomy in Chile and improve the public’s understanding of the latest developments in scientific research. 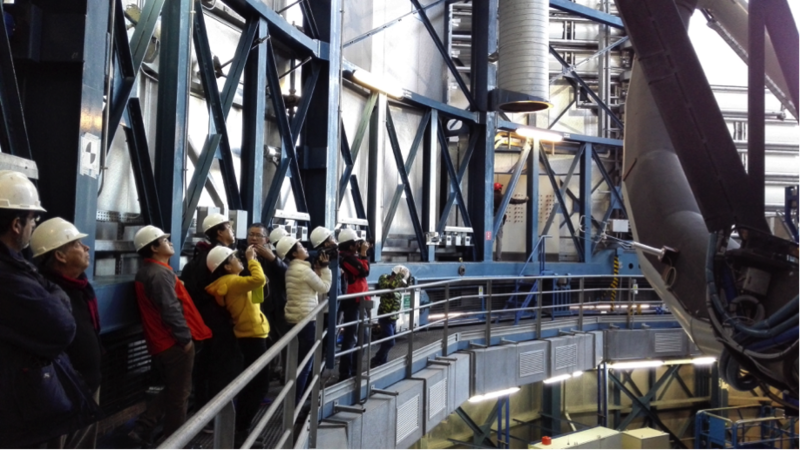 Their visits also help to promote the on-going work of CASSACA, which benefits Chinese astronomical research in the Southern Hemisphere. Figure 1：Watching the opening of telescope dome of VLT UT1 at Paranal Observatory. Figure 3：VLTs in sun set.